Built in 1923 by Missy Bagley Brewster, the ‘Big House’ has remained as part of the Ranch’s history on the Brewster Family Homestead. Welcoming guests to the Canadian Rockies from all over the world the guest ranch, in its early days, was host to famed ‘western adventures’ including the Disney, Eaton and Woodward families. The Big House is open May to October and is the perfect destination base for exploring the Banff, Lake Louise and Kananaskis areas of Alberta. 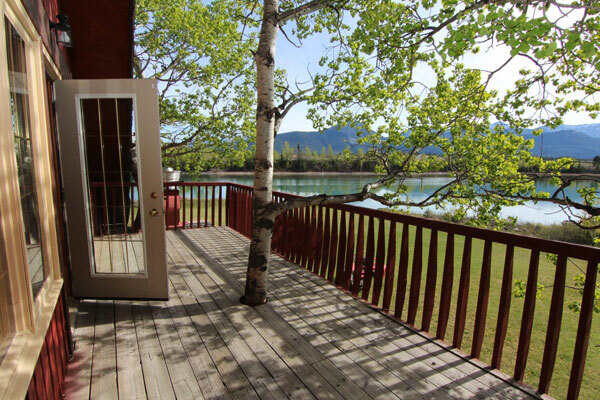 The Guest Ranch is an easy drive 60 minute drive west from the Calgary International Airport. The double lane TransCanada highway make Canmore, Banff and Lake Louise, all to the west, easily accessible. Stunning views from the main level feature a sitting room-styled living room. 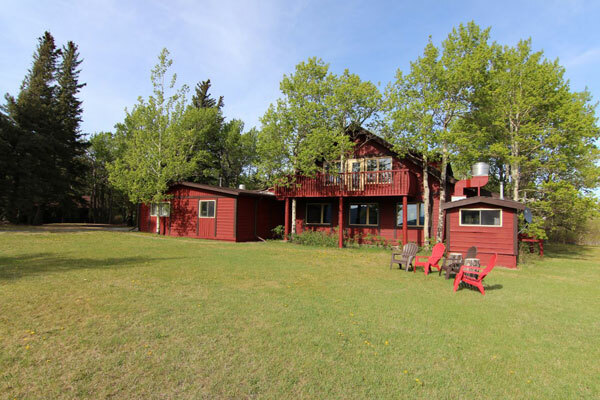 Facing the Bow River, the living room opens into the kitchen area, and offers a sit-up bar and original River Stone fireplace with large dining table for entertaining or conferences. A wrap-around windowed veranda, antique pool table and piano make this an amazing room for gathering family, friends or associates. 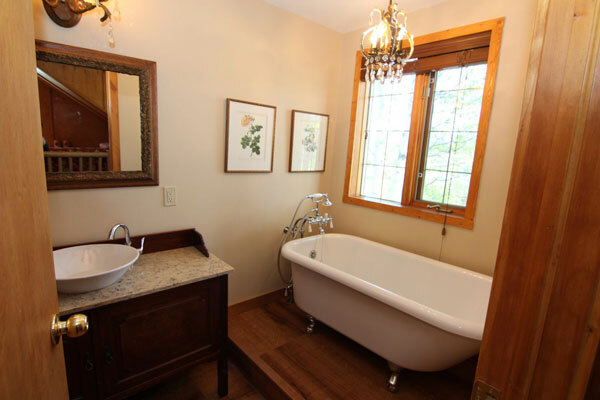 The upper level of the Big House features a Master Suite facing the Bow River and private deck, queen bed, seating area and en- suite with claw leg tub and antique sink vanity. Three other bedrooms, all with duvets and Pendleton blankets, two bathrooms and one shower room, complete this level. A private walking trail along the River with a gated entry way is just minutes from the Ranch Golf course or stables area.